Once a week I would take a day off from the busy schedule at home and work to enjoy some "me time". This form of relaxation gives me time to reflect on the week that has passed. I love spending some quite time reading a book or just sipping a cup of coffee while staring far. I find it therapeutic. 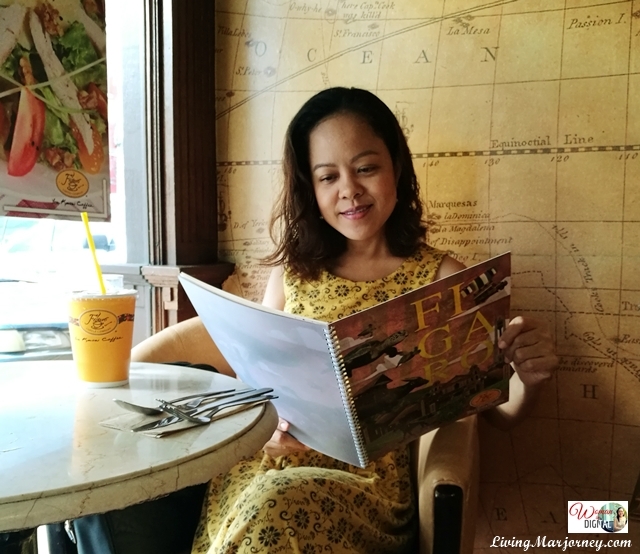 Recently, I went to the nearest Figaro Coffee Shop because I wanted to eat Pasta Al Tonno and Figaro Pizza. Surprised that Figaro Banawe looks a bit different. The chairs and tables are new. Even the menu has changed, there are more food choices. I was told they had a minor renovation to give the store a new and refreshing look. 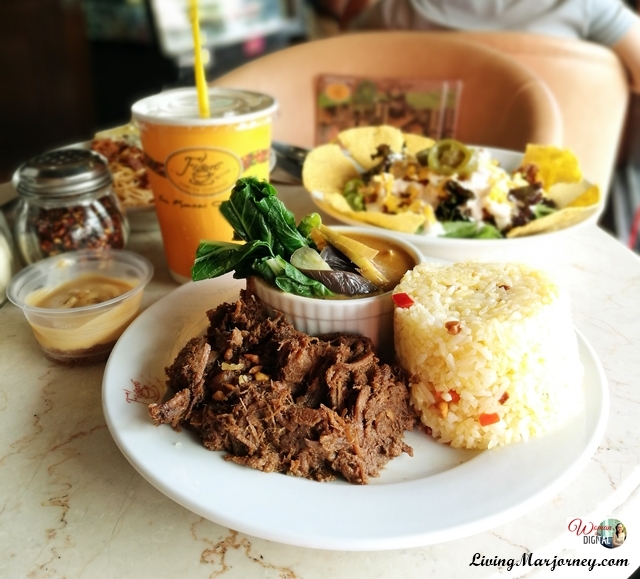 I was ready to order one of my favorites, Al Tonno Pasta but the friendly server offered their newest Executive Lunch Sets, Adobo Flakes Kare-Kare. Suddenly, my cravings changed to some Filipino food. I want to try it! Just like before, I chose to sit in one corner. The food came few minutes later, served with iced cold Lemonade and dessert. I'm happy with the serving size, just enough for the price of P269. 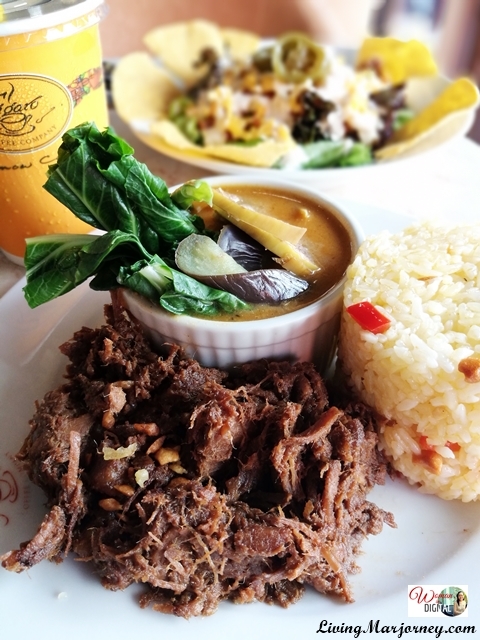 It deserves a two-thumbs up for the yummy Adobo Flakes. Kare-kare on the other hand was also good but don't expect for the beef. It's vegetable Kare-kare and there was no shrimp paste. Anyway, the flavorful adobo flakes complements well with Kare-kare. I was in the middle of my lunch and about to order a dessert when hubby arrived from work. No big deal even if it's my "Me Time Monday" anyway he treat me with a slice of Mocha Cappuccino cake P125/slice, another new item in their menu. 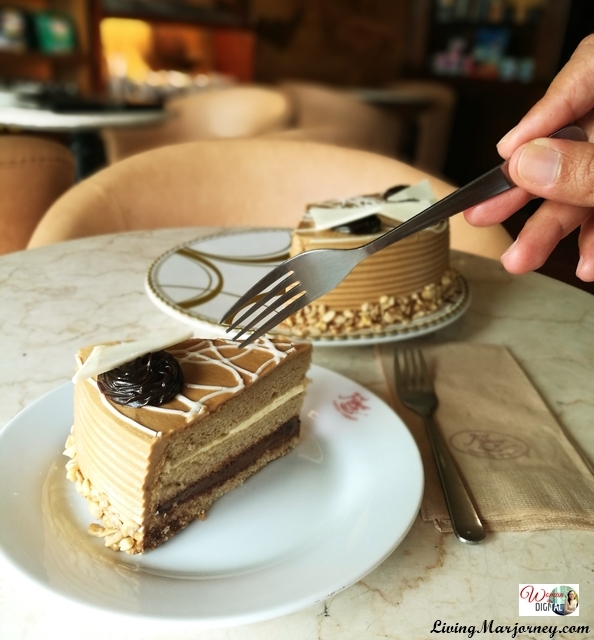 I'm not a fan of mocha cake but who would say no to layers of fluffy and light coffee chiffon cake, infused with creamy butter filling and rich mocha-chocolate mousse, covered with cappuccino-butter icing. You can also try other meals like BBQ Pork Belly, Chicken BBQ Skewers, Lemon Butter Fish Fillet, Salisbury Meatballs, Gourmet Embutido which is my favorite too and Garlic Tuna Salpicao. It's always refreshing to spend quality time all by myself. 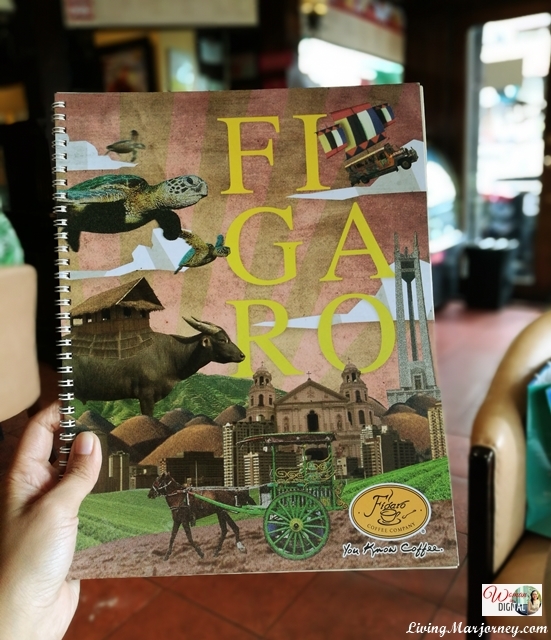 There's more to try at Figaro, I heard they are updating their menu so why not visit them soon. I highly recommend the Adobo Flakes Kare Kare, Figaro Executive Lunch Set.